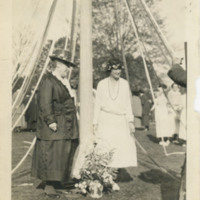 Photo of M. Carey Thomas standing under the maypole during May Day celebration in 1918 with students looking on in the background. 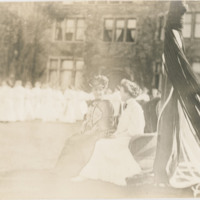 This is from the album of Marjorie Mackenzie (King). 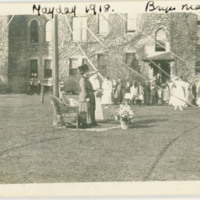 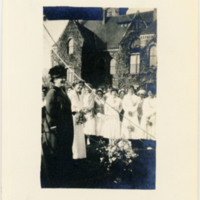 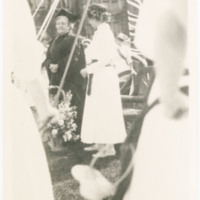 Photo of M. Carey Thomas, taken at a distance, standing under the maypole during May Day celebration in 1918 with students looking on. 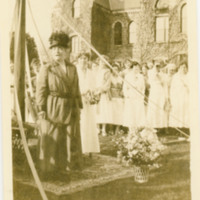 This is from the album of Louise Hodges (Crenshaw). 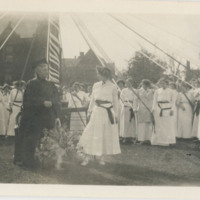 Photo of M. Carey Thomas standing under the maypole during May Day celebration in 1918 with students looking on in the background. 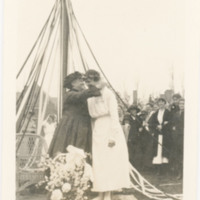 Photo of M. Carey Thomas with someone identified only as Pagie, May Day 1913, under senior may pole as other students look on. 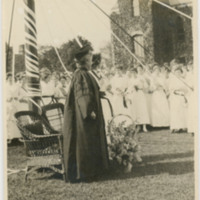 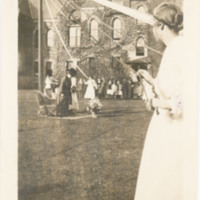 Photo of M. Carey Thomas under the maypole with students looking on.